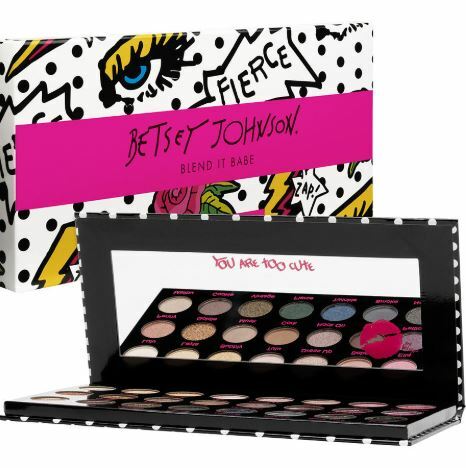 Known for meshing a girlish vibe with edgy, rock ‘n’ roll flair in her clothing, fashion designer Betsey Johnson has just dropped her own makeup line and the assortment is exactly what you’d expect from the fierce ‘n’ fun designer. The nine-piece collection is available exclusively via FragranceNet. 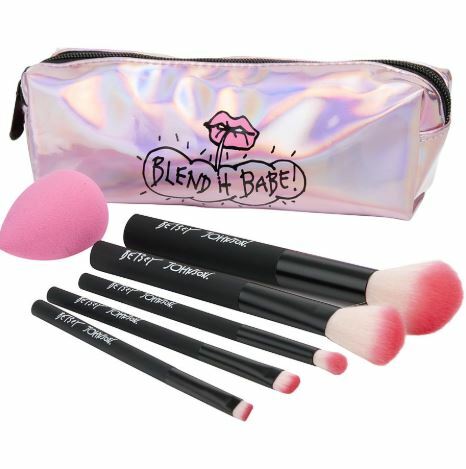 It includes an eyeshadow palette, mascara, false lashes, highlighting powder, highlighter sticks, liquid matte lippie sets in both a neutral and a bright color palettes, a sparkly, dual-ended lip gloss set, and a six-piece brush set with black handles and pink-dipped, ombre bristles – all in super cute packaging in line with Betsey Johnson’s punk rock aesthetics. Best of all, starting from only USD $12, the prices are incredibly affordable! Shop the full collection at Fragrancenet.com, score free US shipping with orders above USD $59!